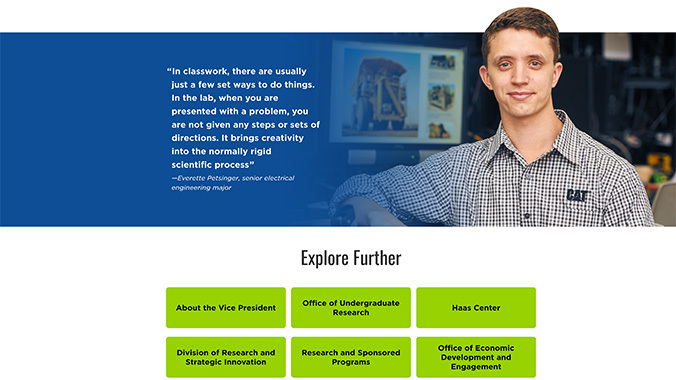 Content to highlight the University of West Florida’s research initiatives was developed to create a landing page on the university’s website. The page is linked directly from the homepage navigation. Visit the Research landing page.